NTA UGC NET 2019: The schedule of the UGC National Eligibility Test (NET) 2019 has been released on the official website - nta.ac.in. Interested candidates can now download the same by following the instructions given below. NTA UGC NET 2019: The National Testing Agency (NTA) has released the schedule of the upcoming University Grants Commission National Eligibility Test (NET) on its official website – nta.ac.in. According to the reports in a leading website, the online application process will be opened for the interested candidates on the official website from March 1, 2019. This will be the second NET examination of the year 2019 to be held by the National Testing Agency on behalf of the UGC. According to reports, the last date for submission of the online application forms has been scheduled for March 31, 2019. Candidates need to log into the website – nta.ac.in to download the schedule and as per the schedule, 81 subjects will be included in the NET examination 2019. This particular examination is being conducted for Assistant Professor Post or Junior Research Fellowship (JRF) aspirants in India. It has also been reported that after the completion of the application process, the admit cards for the examination will be available for download on the official website from May 15, 2019. Candidates must keep an eye for receiving information related to the examination and other necessary updates of NET 2019. 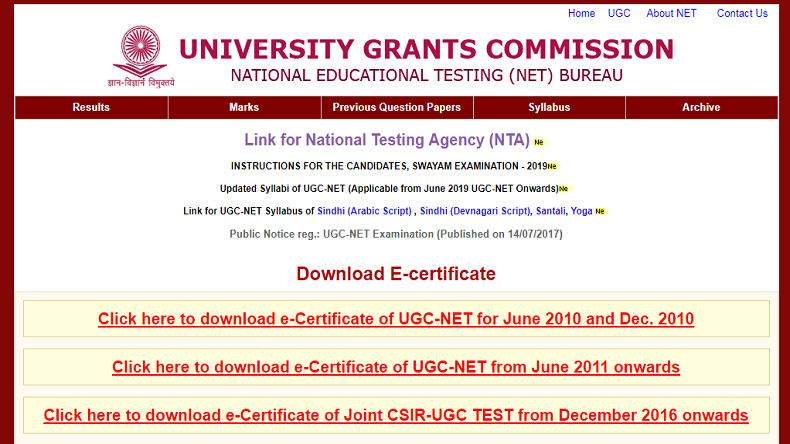 How to download the schedule of UGC NET 2019?